GSMArena team, 10 November, 2015. Meizu Pro 5 packs an Exynos 7420 chipset developed in-house by Samsung and proved itself with the Galaxy S6 lineup to be one of the best performers on the market right now. It employs a 1.5 GHz quad-core Cortex-A53 CPU, a 2.1 GHz quad-core Cortex-A57 CPU, Mali-T760MP8 GPU, and 3 or 4 GB of RAM. Our review unit is of the 3GB variety as it has 32GB ROM. The Pro 5, unlike the Galaxy S6 smartphones, relies on a lower resolution 1080p display, which should give it an edge in the onscreen graphics tests. 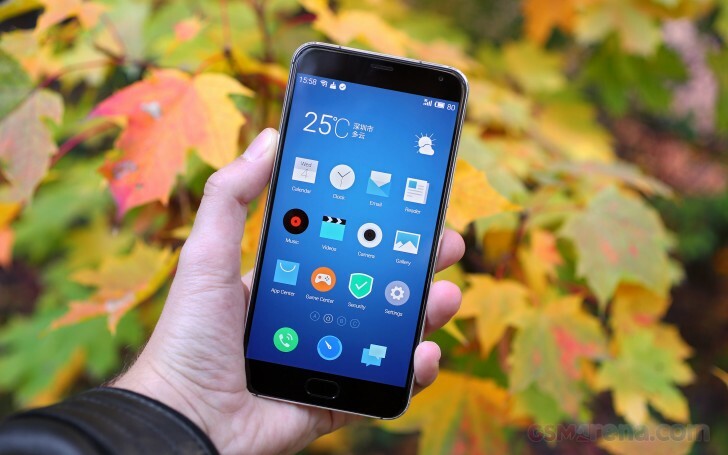 Update, Dec. 29: We received the international Meizu Pro 5 unit running on Android 5.1.1 Lollipop and Flyme 4 launcher. We repeated all of our performance benchmarks and we found the Pro 5 unit intended for international sales just as impressive as its China-bound sibling, outing virtually the same scores. GeekBench 3 tests the multi-core performance and the Pro 5 passed it with flying colors. Indeed the Exynos 7420 octa-core processor is quite a beast. Next we ran the popular AnTuTu benchmark and once again the Meizu Pro 5 came on top of all devices we've tested so far. The compound BaseMark OS II 2.0 also confirms the dominance of the Meizu Pro 5 among all the Android phones we've tested to date. The recently released iPhone 6s Plus is scoring more, but we guess the iOS under the hood optimizations are showing off here. Oddly, the single-core and multi-core breakdowns show the Pro 5 is somewhat behind the Galaxy S6 edge+, which basically features the same processor. GFXBench puts the Mali-T760MP8 GPU found in the phablet to the test. The handset posted flagship-worthy results throughout, even though it wasn't a match for the latest gen iPhone GPU (PowerVR GT7600). The onscreen performance is expectedly ahead of the Galaxy S6 edge+, since the resolution is 'merely' 1080p instead of Quad HD. Oddly, BaseMark X puts the Pro 5's GPU performance around the middle, while the BaseMark ES 3.1 based on the Open GL E3.1 shows promising results. The Meizu Pro 5 provides flagship-grade performance and we are happy the company opted for Samsung's top Exynos instead of the Snapdragon 810. Samsung did a great job designing its SoC and it helps the Pro 5 top most of the charts. While the web browsing scores aren't as impressive, both the integrated default browser and Google Chrome will offer you a smooth and fast experience. As for the processor and graphics - there is nothing to worry about for the years to come.